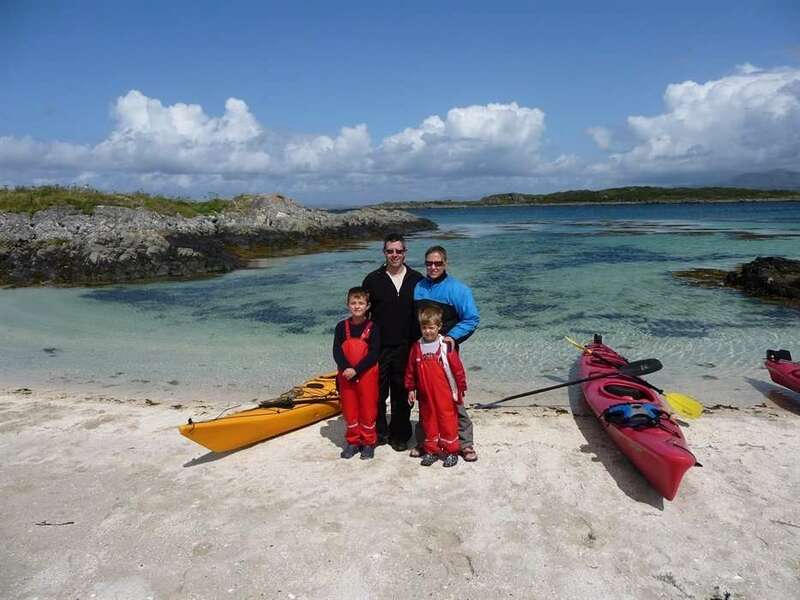 Take a family adventure holiday together and learn or improve your sea kayaking. With family-friendly accommodation by the sea, all equipment, and friendly expert local guides. A very sustainable and rewarding family holiday. 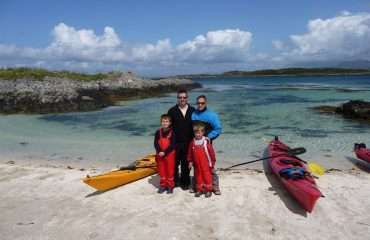 All about the Family Sea Kayaking Adventure Trip, 4 Days, Scotland. 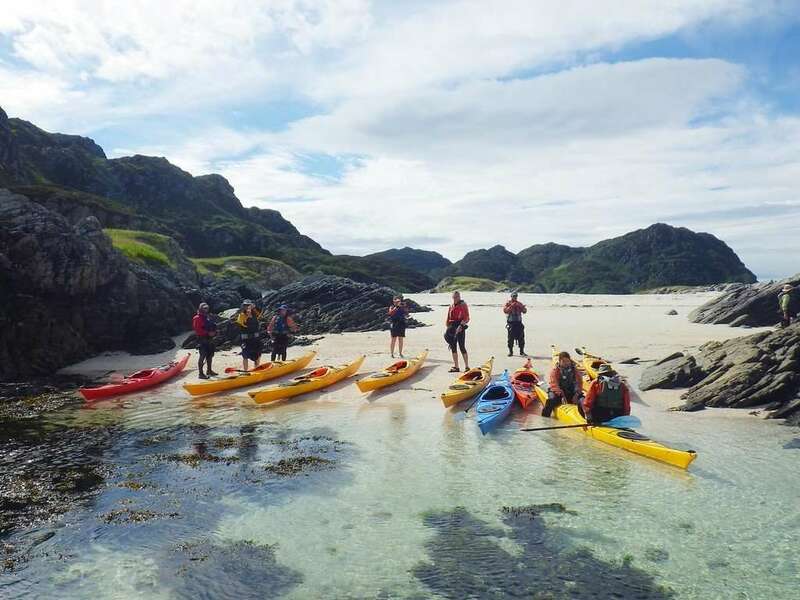 Sea Kayaking is a great way to have fun, share new experiences and wear the kids out. It’s an amazing place to sea kayak, with beautiful beaches and crystal clear waters. An environmentally sustainable holiday, just add water. This family kayaking holiday is designed for families with children from 8 years old and up, however, if you have even younger children that you feel are ready to join, just let us know. You don’t need any experience, skill or special fitness for this trip. As long as you’re ready to try sea kayaking we’re ready to help you learn and have a great time. As we have very small groups, our sea kayak guides will be able to help you develop your skill from whatever current level you have. Exceeded our expectations in all areas, had a wonderful experience and explored new areas and activities. Will definitely come back again. Yes, we allow you to choose the dates and then we make the arrangements. 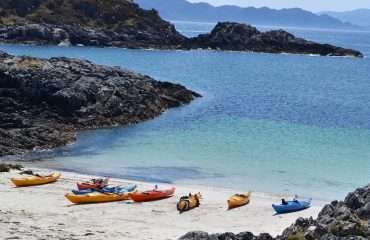 After making your way to the inn on the Sound of Arisaig, you will meet our guide at 1 pm for an afternoon of sea kayaking. After sorting out the equipment and making sure everyone is comfortable, the guide will explain safety procedures and then we will get out on the water. 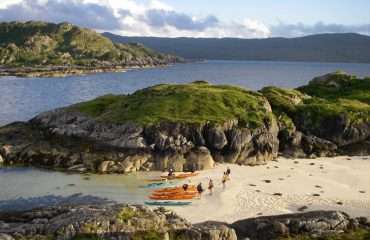 This is usually in the sheltered bay directly outside the inn and provides an enticing first taste of sea kayaking in Scotland. 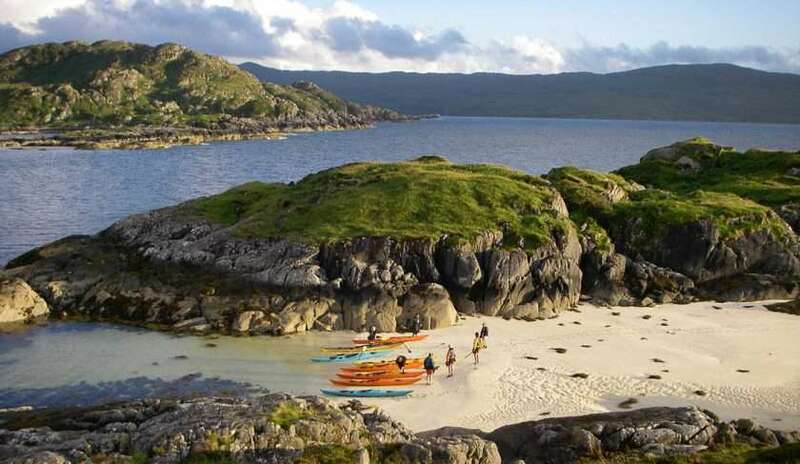 This trip has been specially designed for families to discover the magic of sea kayaking in Scotland. 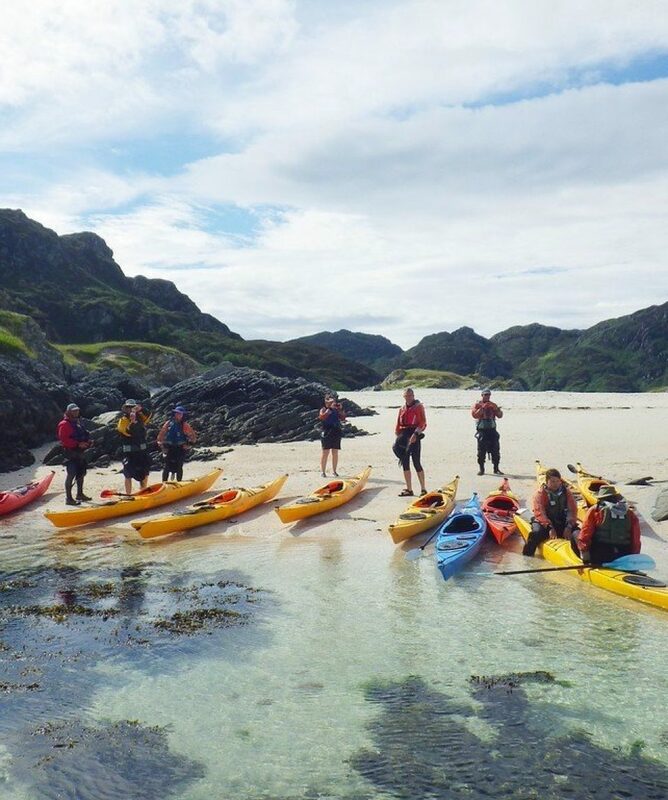 What better option for a fun and exciting short break than learning to sea kayak in the unspoiled and crystal clear waters of Scotland’s mountainous west coast. 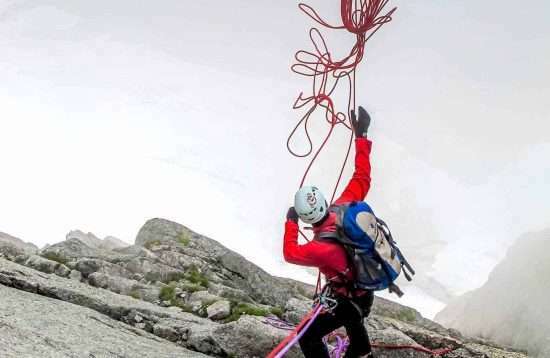 Our locally-based guides are some of the best in Scotland so you can be sure that safety is a priority at all times – even though it definitely will feel like an adventure! 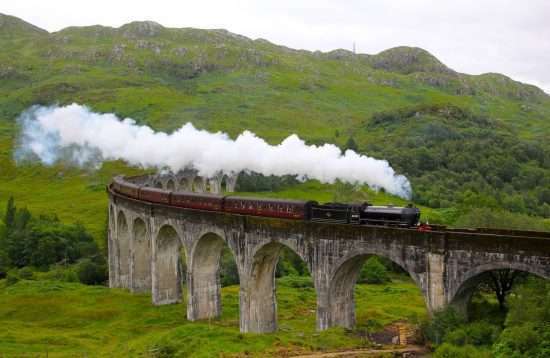 Accommodation for this holiday is in a comfortable, traditional inn located right on the shoreline on the Sound of Arisaig, near Fort William. The owner is an enthusiastic sea kayaker and provides a warm welcome. 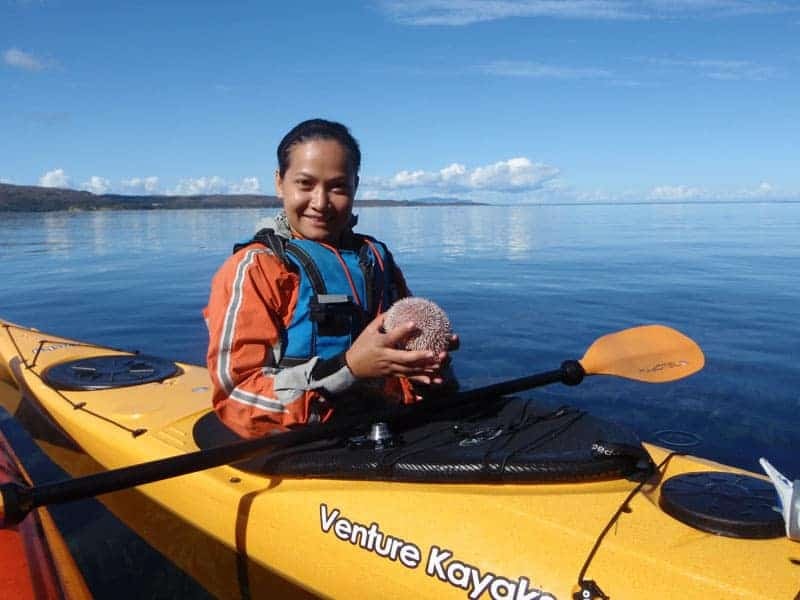 During the 4 day trip, you will have the opportunity to paddle in both double and single sea kayaks, developing your skills and enjoying the freedom which sea kayaking brings. No previous experience of sea-kayaking is required but the small group size means that, even if you have some experience, our guides will have time to work with you to develop your skills further. This trip begins at your accommodation near the coastal village of Arisaig. You will be met by your Guide at the accommodation at 1 pm on Day 1 of your trip. 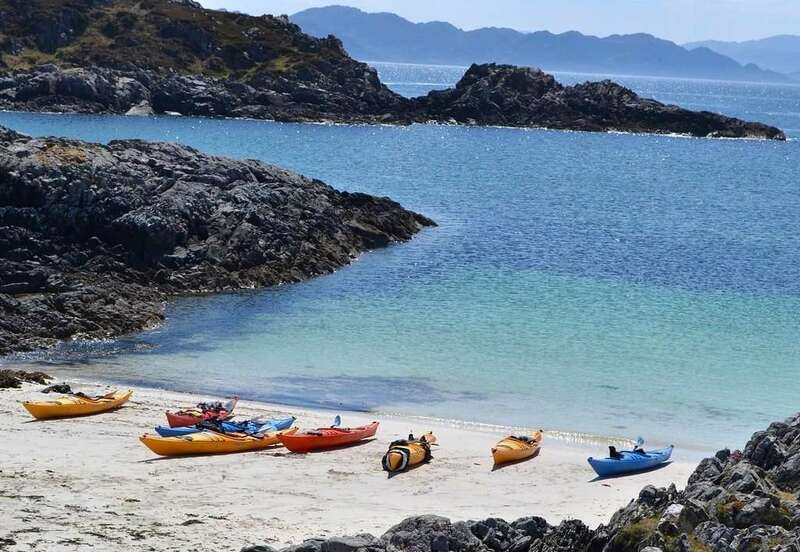 The accommodation for this trip is a family-friendly inn, located right beside the beach in a sheltered bay in the Sound of Arisaig, southwest of Fort William. The recently refurbished inn offers comfortable accommodation and a good range of food and drinks, with a strong Scottish slant. The accommodation is in a new annex next to the inn and boasts large, en-suite rooms each of which has a king sized double bed and either a single bed or bunk-beds. 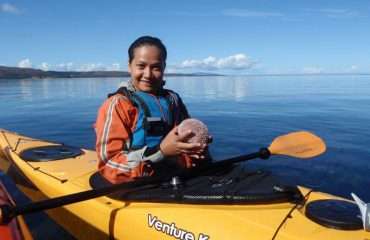 During this sea kayaking trip, you will be accompanied and led by one of our professional guides. Our guides are among the most highly experienced and qualified in the country. 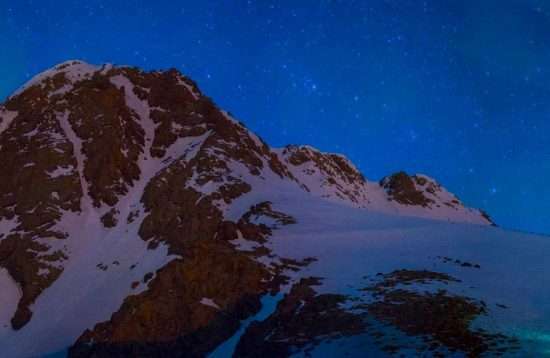 Defined by their passion for Scotland’s wild places, they have an intimate knowledge of the natural and social history of this land which they will be delighted to share with you.